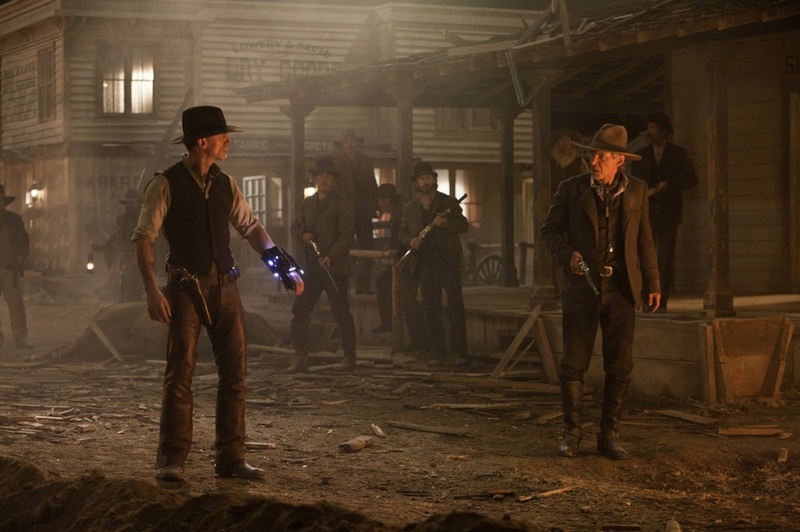 This article is a review of COWBOYS AND ALIENS. What a crushing disappointment. 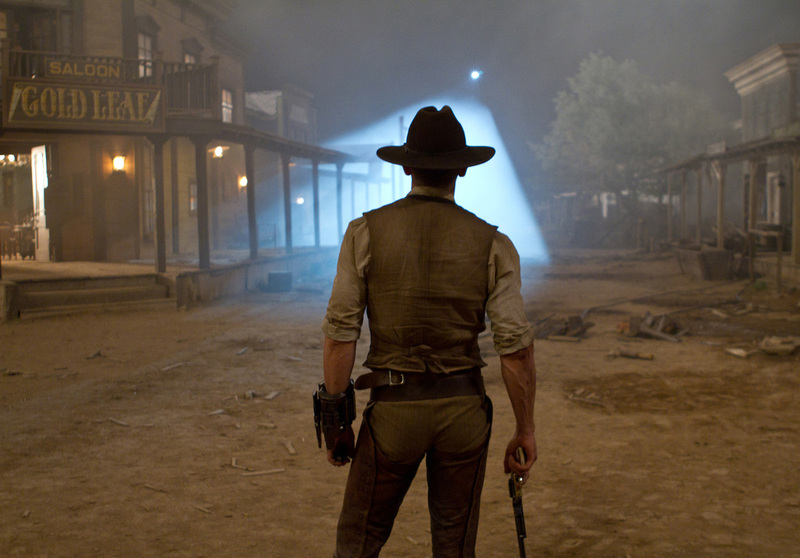 Down there with the dead-on-arrival WILD WILD WEST. With those two duds, sci-fi Western amalgams must surely be on the endangered species list at studio meetings. 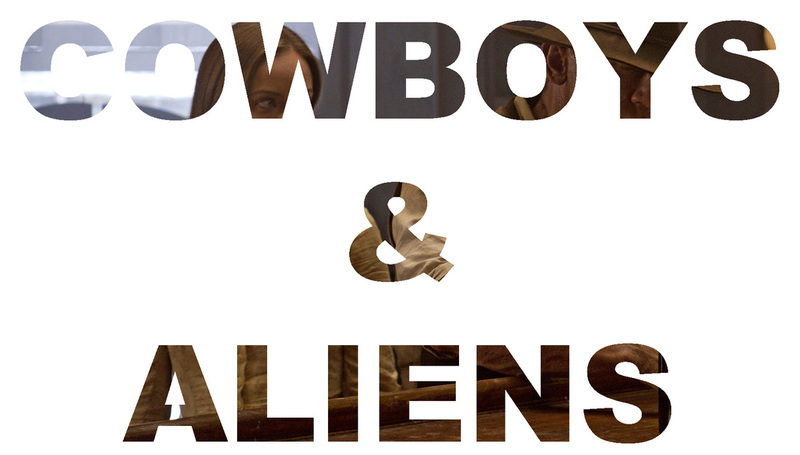 COWBOYS & ALIENS is a half-baked mess. I’m sure six different writers didn’t help, and that Jon Favreau is making another summer tentpole a year after IRON MAN 2. 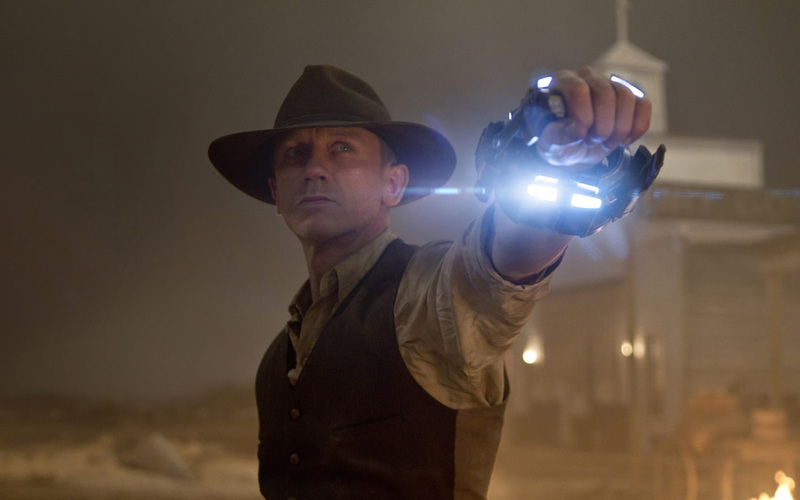 What should have been B-movie bad-assery with a seriously A-list cast (Daniel Craig, Harrison Ford, Sam Rockwell, Olivia Wilde, Paul Dano), was instead a sentimental bundle of half-hearted action moments. The movie compounded my suspicion that actually Favreau doesn’t know how to handle big set pieces, or is uninterested in them. The ones in the IRON MANs are pretty short and not particularly inspired. Craig’s Jake Lonergan wakes up suddenly in the desert with a metal attachment on his wrist. Some ne’er-do-wells try to capture him for bounty on the assumption is he is a wanted man. Lonergan quickly shows he is someone not to be trifled with; spending most of the film Jason Bourne-like, a lethal amnesiac. Lonergan and us quickly discover that metal thing is a hugely advanced weapon; the only thing standing between humans and alien invaders. As the story unfolds more questions are raised then answered. If he got that laser gun thing from the aliens, why don’t the aliens carry them as well? If she is an extra-terrestrial, why did she turn up in the eighteenth century as a very hot woman who no-one will take seriously and not, say, someone that looks like Clint Eastwood? How come the aliens can cross space, yet seem so unintelligent? Hugely unsatisfying.